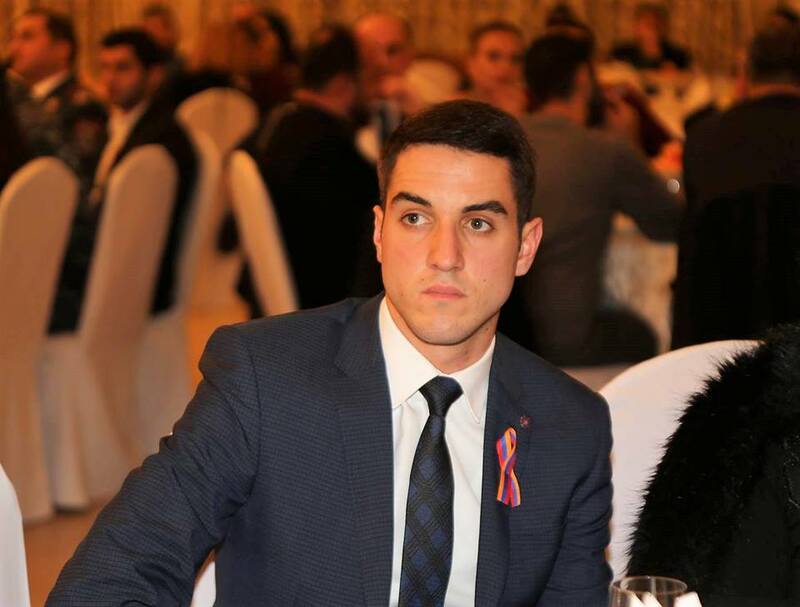 An Armenian politician stresses the need for Armenian authorities to tackle the issue of Nakhichevan, claiming it poses a serious threat to the country’s security. “The circle around Armenia is constantly tightening, but we must hope the country will become more powerful due to the velvet revolution,” Levon Shirinyan told a news conference on Thursday. He pointed to the deployment of a separate army in Nakhichevan, which, according to the analyst, can strike any part of the country given Armenia’s small size. “The Armenian side must eventually deal with the Nakhichevan issue with its big brother [referring to Russia]. This is a territory alienated from Armenia and handed over to Azerbaijan amid the silence of the Armenian Bolsheviks,” he said. Shirinyan sees two options for settling the issue. “Firstly, Armenia must be ready for a war, abandoning a defense strategy. Armenia’s war can only be preventive, since we have no backing, our troops cannot retreat,” he said. As the second solution, he stressed the need to clarify the legal and political framework of Nakhichevan to submit it to international structures, up to the Hague court. “But first of all we need to work with Russia. It was Moscow that violated the 1920 Yerevan Agreement to give away Armenia’s internationally recognized territory to Azerbaijan,” he reminded. 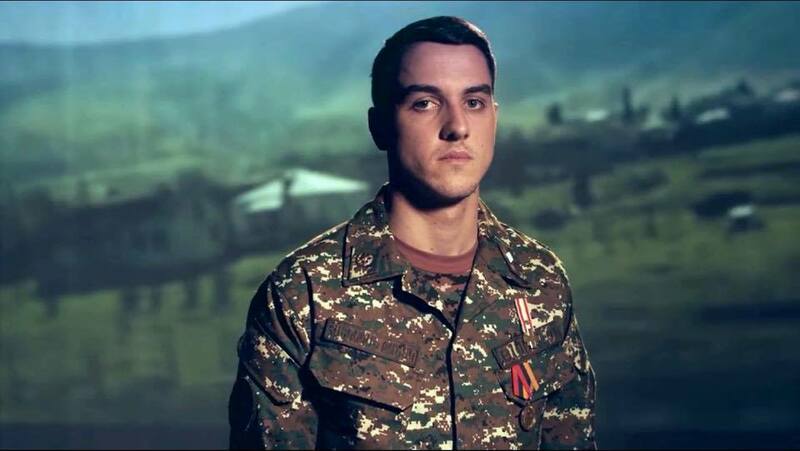 Shuli Hakobyan, participant of the April-four-day war, awardee of Order of “Battle Cross” 2nd marks today his 22nd birthday anniversary. Shuli started his special day at the workplace and received the first congratulations from relatives. Then came wishes from friends, acquaintances and even strangers. Shuli does not consider himself a hero. In numerous interviews he used to say what he did was just his military duty, while those who fell during the war for the sake of motherland are the real heroes. In an interview with Panorama.am, Shuli said there is no special way to mark the birthday, yet the relatives every year turn the day into a holiday for him. Hei has no idea what is waiting for him today yet admits - surprises are not excluded. “It was right after the April war that changed much in my life and in the lives of my fellow servicemen. I had different perceptions before the 20th anniversary, different goals, while everything changed just within days as I reconsidered the values after the April military actions,” Shuli recalled. The young man, who passed through the flames of the war and lost numerous friends, cherishes one single wish: “I just want peace, positive changes in the people’s life, as all my wishes and dreams are about the peace. If peace is established everything will come true,” Shuli assured. We join all his relatives and friends in wishing a happy birthday to Shuli. 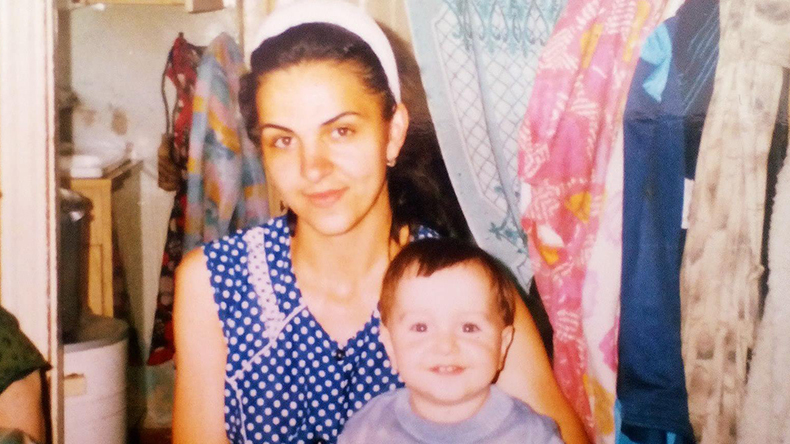 Shuli Hakobyan was one of those heroes, who managed to withdraw the enemy from the distance of 1200 meters by targeting three of their tanks with antitank missile system. Today, Shuli works at the ministry of defense and studies at Yerevan State University. 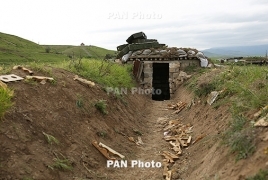 PanARMENIAN.Net - The Azerbaijani army initiated an attempted subversive attack on the contact line with Nagorno Karabakh on June 17, Karabakh Defense Army spokesman Senor Hasratyan said on a Facebook post. The Karabakh troops took the necessary measures to thwart the attack and threw the saboteurs back to their positions. According to Hasratyan, the situation along the contact line changed in the period between June 17 and 23. In particular, he said, an RPG-7 grenade launcher has been used by Azerbaijan in some sections of the frontline. “Besides, the rival forces continued with the maneuvers of manpower and military equipment in areas close to the contact line,” Hasratyan said. The Armenian side has completely destroyed one of Azerbaijan’s defense positions. “Last night and this morning the Azerbaijani armed forces tried to carry out engineering works at some sections of the border in the direction of Azerbaijan,” Spokesman for the Armenian Defense Ministry Artsrn Hovhannisyan said in a Facebook post. He said the Armenian Armed Forces opened retaliatory fire and prevented the rival from carrying out its task. One of the Azerbaijani defense position was completely destroyed as a result of Armenian firing. 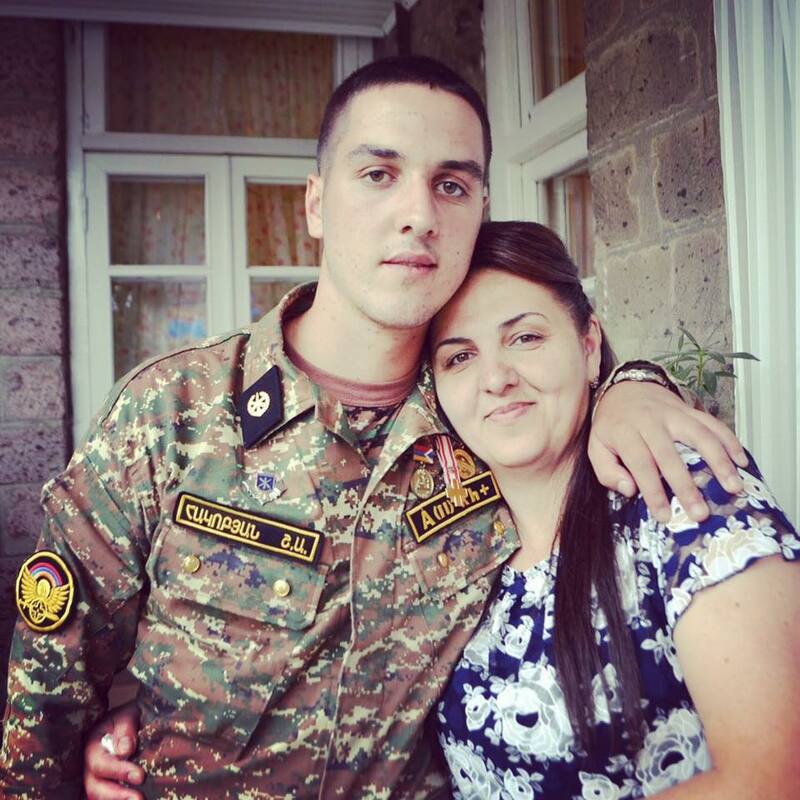 Armenian serviceman Vahagn Baghdasaryan (born in 1974) was slightly injured in the exchange of fire. PanARMENIAN.Net - On the evening of June 30 and the morning of July 1, Azerbaijani forces attempted to carry out engineering work aimed at strengthening their positions near the Nakhijevan-Armenia border, a spokesman for the Armenian Defense Ministry said in a Facebook post. According to Artsrun Hovhannisyan, the Armenian armed forces fired back and did not allow the rival to carry out the work. “As a result of the fire of the Armenian side, one of the rival’s positions was completely destroyed and burnt down,” Hovhannisyan said. Below is a video of the burning Azerbaijani post, released by the Armenian Defense Ministry. YEREVAN, July 2. /ARKA/. An Armenian political analyst Levon Shirinyan said today that Azerbaijan’s military buildup in its exclave Nakhichevan means opening a new front against Armenia. On June 30 and July 1 a skirmish between Azerbaijani and Armenian troops on the border between Nakhichevan and Armenia were reported. According to Armenian sources, Azerbaijani troops attempted to build new engineering structures to strengthen their positions. The Armenian troops fired back destroying and burning one of the enemy's positions. An Armenian contract serviceman Vahagn Baghdasaryan (born in 1974) was slightly wounded in the skirmish. "After the velvet revolution in Armenia, I see changes in matters concerning relations with Azerbaijan. Our strategy should be based on preventive strikes, and the destruction of the Azerbaijani military position in this regard should be greeted," the political scientist said. According to Shirinyan, if Azerbaijan tries to commit new provocations, it must be punished. 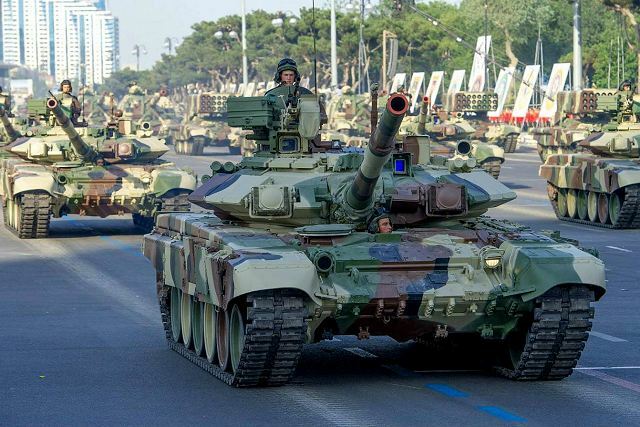 Azerbaijani Armed Forces attempted to move their military positions in the region of Nakhichevan on the evening of June 30, according to Armenia’s Defense Minister's spokesperson Artsrun Hovhannisyan. Nakhichevan is a landlocked exclave of the Republic of Azerbaijan bordering Armenia to the east and north. Nakhchivan is in a political and military conflict situation with Armenia. Skirmishes on the border between the Azerbaijani exclave and Armenia have increased in recent weeks. 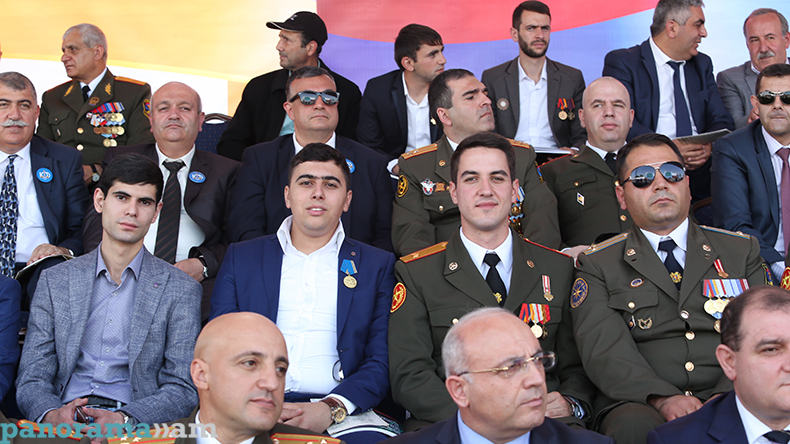 On July 1, Hovhannisyan wrote on his Facebook page that the Armenian Armed Forces had stopped the Azerbaijani military from changing their positions within Nakhichevan. “One of the opponents' positions has been completely destroyed and burned down,” Hovhannisyan wrote. Vahagn Samvel Baghdasaryan, an Armenian soldier born in 1974, was slightly injured during the operation. YEREVAN, July 26. /ARKA/. Armenian Prime Minister Nikol Pashinyan said in an interview with Echo of Moscow that a war with Azerbaijan is highly likely. The Armenian premier said that Russia has every lever and every opportunity to prevent war. 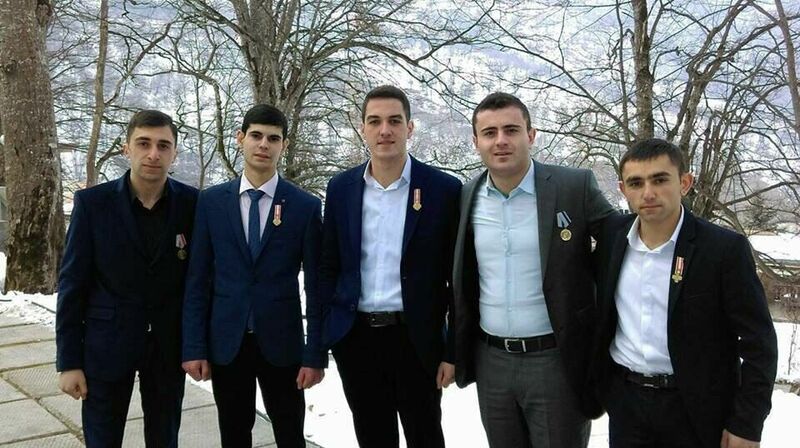 Pashinyan also confirmed the fact that his son in the military service on the Karabakh frontline. 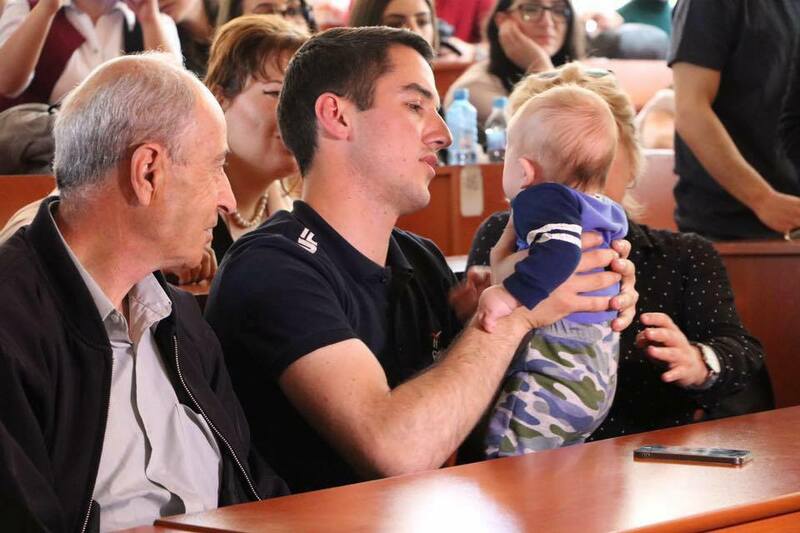 He said he would be glad if Ilham Aliyev could send his son there for military service. YEREVAN, August 14. /ARKA/. Azerbaijani troops' attempts to regroup in Nakhichevan will be suppressed, acting spokesperson for Armenian Foreign Ministry Anna Naghdalyan said today. Earlier the press secretary of the Ministry of Defense Artsrun Hovhannisyan said Armenian troops, deployed along its border with Azerbaijan’s exclave Nakhichevan, opened fire in retaliation to Azerbaijani troops’ provocations. Anna Naghdalyan said also that the Armenian side informed Azerbaijan through public and other channels that such attempts are unacceptable and will be suppressed by any means. The Artsakh military has prevented an attack attempted by Azerbaijani forces in the northern direction on Friday. A group of 15 members of the Azerbaijani armed forces launched an attack attempt towards one of the military positions of the Artsakh Defense Army located in the northern direction on 17 August, at around midnight, the Artsakh Defense Ministry said in a statement. The Artsakh frontline units timely detected the advancement of the adversary’s group and pushed them back to their starting positions. “As a result of the shootout, the Defense Army suffered no losses. The data on the adversary’s losses are being clarified,” the statement says.